The Iowa Power Farming Show brings together the largest names in the agricultural industry each year in Des Moines, Iowa to showcase the latest innovations in the world of professional ag. It is the third largest indoor farm show in the U.S., drawing almost 700 exhibitors every year and spanning seven acres. Six floors across the Iowa Events Center are full of everything from demonstrations to machinery, all for attendees to enjoy. The 2018 event will be hosted from January 30 to February 1. At this year’s Iowa Power Farming Show, there will be approximately 1,932 booths spanning across 7.7 acres of exhibition space, and about 750 companies will be taking part in the event, including John Deere. Free seminars will be hosted throughout the event, covering topics including estate planning, water quality, weather, and commodity trends. This year, John Deere will be one of the many exhibitors on hand to demonstrate its equipment. Some of the Deere products that will be on hand are ATV/utility vehicles, construction equipment, and hay and forage equipment. The company will also have landscape tools, outdoor power equipment tools, planting/drill accessories, sprayers and tillage items on display. 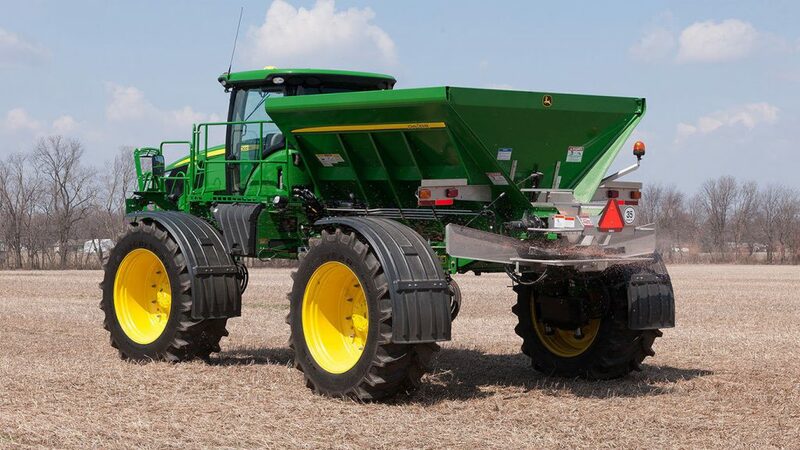 The other participants at the show are expected to show off ag equipment in categories including big iron, precision ag, aerial imaging, livestock production, and data management. At this year’s Iowa Power Farming Show, John Deere will have Booth No. 2038. Here, visitors will be able to meet with John Deere representatives, who will answer any questions they have on equipment and the company. There will be several educational sessions hosted throughout the Iowa Power Farming Show. On January 30, sessions will be held on farmer succession strategies, historical Iowa climate trends, and increasing yield potential, just to name a few. On January 31, seminars will tackle topics including soil health, weather outlook and the use of drones in agriculture. February 1 will incorporate sessions on women in agriculture and farm marketing. John Deere will be located at Booth No. 2038 in Hy-Vee Hall, located between the J&M and Unverfeth booths on the west side of the building.